Log cabin beside River Erne, set in woodlands with direct access to river. 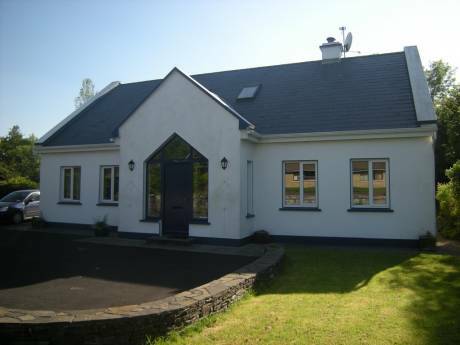 **WE HAVE OUR EXCHANGE FOR SUMMER 2010** Our house is a 2 storey wooden cabin on the banks of the River Erne. It has a terrace on 2 sides on ground level and a balcony off master bedroom. There is a large kitchen/dining/sitting room. We have 2 double and 1 twin bedrooms and 3 bathrooms(2 ensuite). The house is bright and airy with woodland and river views and has direct access to a jetty for fishing/swimming. It has been comfortably furnished and is family friendly. It is very peaceful and tranquil but also close to all amenities. Myself(Mary) and my husband(Philip) live in Dublin which is 2 hours drive from Belturbet.We have two sons 11 and 19 . I work in the Reinsurance business and my husband is a graphic artist. The cabin is our holiday home but we also rent it during the summer when we are not using it. We would be very respectful and careful with your home. We will consider non-simultaneous exchanges but our car would not be available to our visitors. This our first time to exchange and would like short exchanges for 1 week or long weekends. 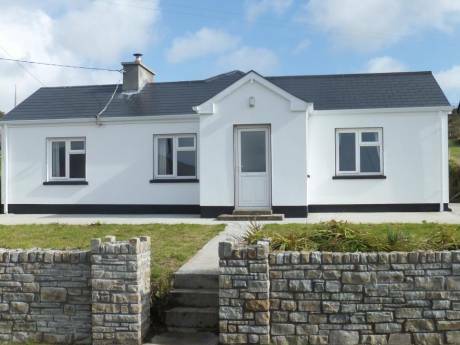 The cabin is located 2kms from the nearest village(Belturbet) and 1km from the nearest shop. Dublin and Belfast airports are 2 hrs drive. It is a private development of about 30 cabins and a small 2 story apt block. Each cabin is detached and has ample grounds to ensure privacy. The grounds are well maintained and planted with trees and shrubs. There are plenty of pathways and off road walks in the area and there are excellent coarse fishing points directly accessible from the house and within a few kms. Belturbet is a typical Irish village with plenty of pubs and restaurants and some shops. Rowing boats can be hired for lake fishing at a reasonable rate. The cabin is about 25 minutes drive from the world famous caves and visitor centre at Marble Arch and nearby Geopark. 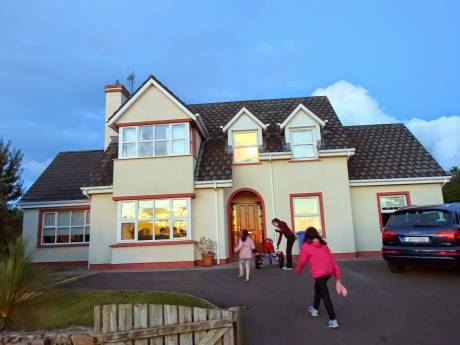 There are 2 golf courses in the locality, one is a championship course located a the Slieve Russell Country Club and Spa about 8 minutes drive and the other is 9 hole course in the local village, 3 minutes drive.